Gifted2Go is a line of resources created to help believers discover their spiritual gifts and serve Christ through the church body. 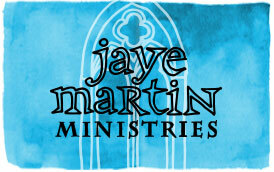 The logo communicates the gift one has in Christ. The Gifted2Go series is based on Ephesians with a focus on Ephesians 2:8-10. "For by grace you have been saved through faith; and that not of yourselves, it is the gift of God; not as a result of works, so that no one may boast. For we are His workmanship, created in Christ Jesus for good works, which God prepared beforehand so that we would walk in them" (Ephesians 2:8-10, NASB). The empty box symbolizes the empty life we have apart from Christ. The cross symbolizes a Christ-filled life. The infinity sign is drawn on top of the box like a bow. This is to show the eternal difference Christ makes in our lives and the eternal difference we can make in the lives of others. We have the gift of Jesus and are Gifted2Go make an eternal difference in the lives of others. Puzzle: Where do I fit in? The spiritual gift puzzle inventory was created as a tool to help believers assess the gifts given to them by God, to understand how they fit into the church and how they can serve with others to communicate the message of Christ. 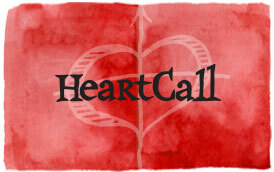 The spiritual gifts are grouped into three categories: word, heart and hands. Not only will believers understand where they fit into service in their church, but also church leaders will know how to mobilize members for service. To learn more about our resources, go here. 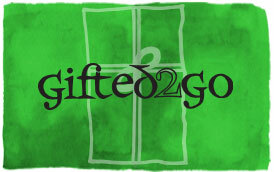 As they are available, products for Gifted2Go can be purchased in our shop. You can read more about hosting leadership training at your church here. To attend a Leader of Leaders training, click here.